Well the awards season is well and truly upon us, caddies be sure you can get your red carpet fix for the whole year in the coming days! These leading ladies of the silverscreen have well and truly earned their stripes, most of them Golden Globe nominees or in nominated films, they sure know how to dress up on the red carpet. If you look closely Nina Dobrev's dress I was lucky enough to witness in person at the Monique L'Huillier show at NYFW, could not be more excited that it's my own runway photo! 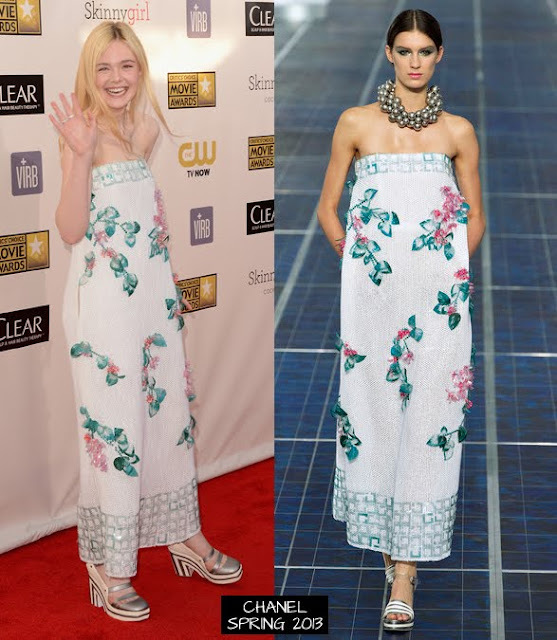 These are my favourite designers and looks from the 2013 Critics Choice Movie Awards, be sure to check out my Facebook gallery to snoop the many other stylish ladies who stepped out for the big event! Jamie and Nina both looked gorgeous! im really loving nina's dress! Marion Cotillard is so beautiful, she looked perfect! Love the way you show the runway dresses being worn on the red carpet.